Hull construction company Hobson & Porter has pledged its support to bridging the skills gap in the city by signing up to the Humber Local Enterprise Partnership’s (LEP) Skills Pledge. The pledge is designed to help the city’s future workforce obtain the skills that employers crave as well as helping businesses to access vital skills and training organisations to help them succeed and grow, in turn providing a big boost to the economy in the region. 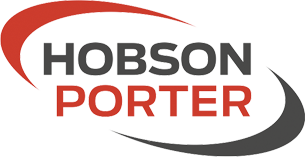 After completing a number of high-profile projects over the past year within the Humber region, including a multi-million pound technology centre at Bishop Burton College, Hobson & Porter is the most recent business to sign-up to the scheme. Recently, the Sutton Fields-based company has celebrated its 100th build under the Considerate Constructors Scheme as well as announcing it is set for a record turnover of £45m in 2014, up by £15m from 2013. Hobson & Porter is also currently looking to secure a permanent base in Lincolnshire in a bid to grow its profile south of the river.